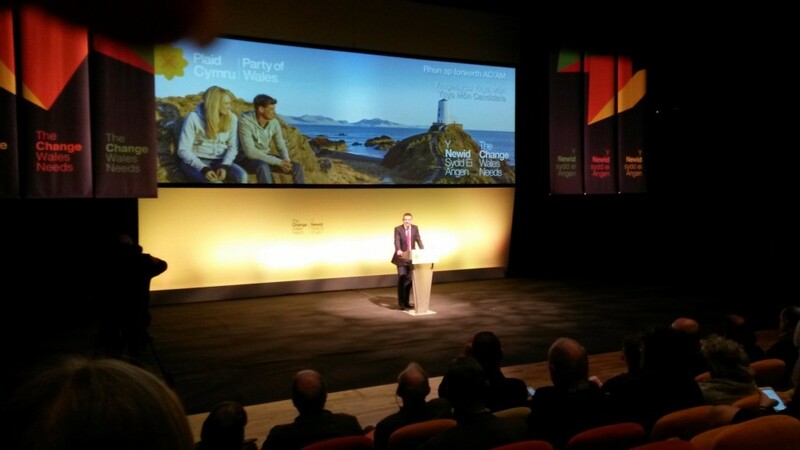 Plaid Cymru Shadow Economy Minister, Rhun ap Iorwerth, will today urge people throughout the nation to unite behind the party’s vision for a well, well-educated and wealthier Wales to end 17 years of Labour-led decline. He added that, regardless of people’s background, circumstances, or previous loyalties, the whole nation could unite behind Plaid Cymru’s programme to reverse the fortunes of strained public services and create a strong and resilient Welsh economy. “We know what kind of Wales we want to see. A Wales where individuals and communities are respected, where diversity is celebrated, and where everyone can get support to realise their hopes and aspirations, for themselves and their families. “Our goals for the economy are clear – to support small businesses to grow by cutting business rates, to ensure that more public contracts from Wales go to companies in Wales, to sell our products, ideas and skills to the world by creating a new WDA fit for the twenty first century. “Our new National Infrastructure Commission would build the firm foundations for a strong and resilient economy – investing in our digital, transport and green infrastructure networks in all parts of Wales. North, south, east and west – one nation, one shared ambition. “To vote Plaid Cymru – through considering and seeing the potential in the programme we’re putting forward – is to vote for a new kind of leadership for Wales that’s both bold and responsible. “Our ambition for Wales can appeal to all. Regardless of people’s background, circumstances, or previous loyalties, the whole nation can unite behind our programme for a well, well-educated and wealthier Wales. “Real change is on the ballot paper at this election. Now is the time to decide. For the employee, business owner and entrepreneur alike, looking for a new era of economic confidence. For the teacher looking for respect from government. For the family of dementia sufferers looking for a helping hand. For the young adult looking for opportunities.